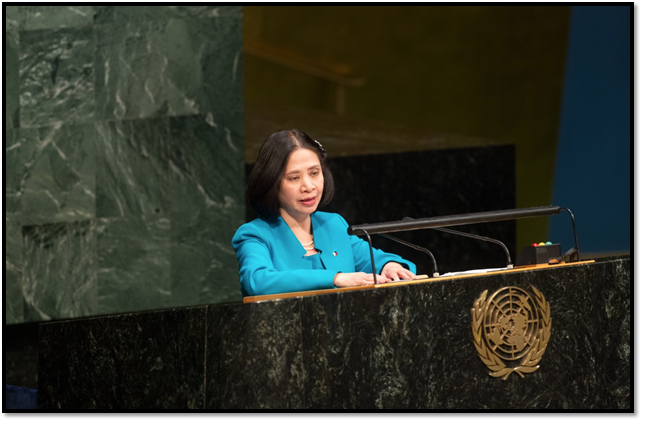 NEW YORK, 28 April 2015 – The Philippines called for urgent and concrete actions to rid the world of nuclear weapons while highlighting its own implementation of peaceful applications of nuclear energy. “The Philippines believes that the only genuine way we can truly reaffirm our commitment to this Treaty is by demonstrating consistent and continued implementation of its provisions, through real, concrete, and urgent actions,” Ambassador Lourdes O. Yparraguirre, Philippine Permanent Representative, told States Parties to the Treaty on the Non-Proliferation of Nuclear Weapons (NPT) at the General Debate of the 2015 NPT Review Conference. Ambassador Yparraguirre also called on States Parties to report on their implementation of the 64-Point Action Plan agreed on at the last Review Conference in 2010, which the Philippines successfully steered towards a successful conclusion. The NPT is a landmark international treaty aimed at preventing the spread of nuclear weapons and weapons technology, promoting cooperation in the peaceful uses of nuclear energy and to furthering the goal of achieving nuclear disarmament. States Parties to the Treaty meet every five years to review the implementation of the Treaty’s provisions as well as to identify future actions. Ambassador Yparraguirre disclosed that the Philippines will submit its national report on the implementation of the 64-Point Action Plan which prescribes concrete actions in the areas of nuclear disarmament, non-proliferation, and peaceful uses of nuclear energy. “Any State Party’s credibility to advocate for urgent implementation of Treaty obligations will largely rest on its own actions. 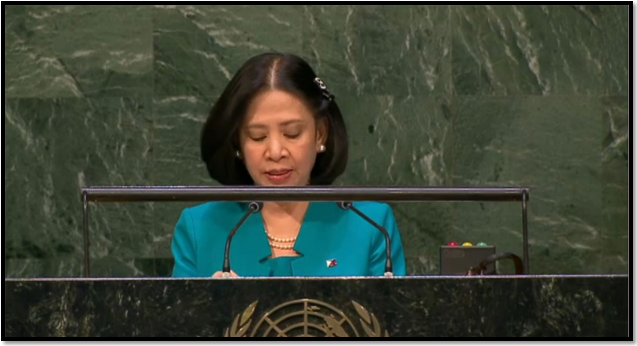 In this regard, the Philippines intends to submit its own report on the actions that my country had undertaken over the last five years to implement the 64-Point Action Plan adopted in 2010,” she said. The Philippine Ambassador also stressed that the Review Conference must be able to reflect the continued lack of progress in the area of nuclear disarmament, reflect the growing attention placed on the importance of the humanitarian consequences of nuclear weapons and calls for effective measures to fill the legal gap for the prohibition and elimination of nuclear weapons. 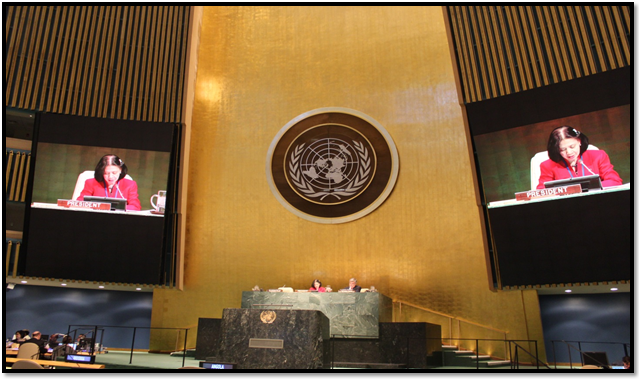 She underscored the need to ensure that the Conference on the Establishment of a Middle East Free of Nuclear Weapons and All Other Weapons of Mass Destruction, as called for in the Outcome Document of the 2010 NPT Review Conference, be held at the soonest possible time.